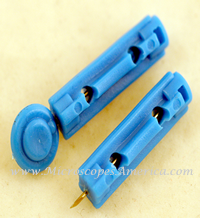 These are ideal for School classroom or Professional Laboratory. Premiere® Scalpel Blades are made of high carbon steel and are individually foil wrapped and sterilized by gamma radiation. They're exceptionally strong and uniformly sharp. 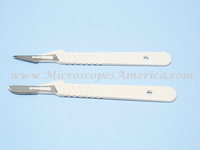 Handles for scalpel blades are available separately. Disposable Scalpels are also available; a high carbon steel blade is mounted on a plastic handle and is individually foil wrapped and sterilized by gamma radiation. 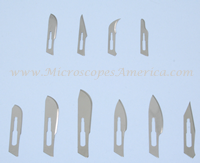 Stainless steel Blood Lancets are sterile and individually foil wrapped. Premiere® Stainless Steel scalpel handles are designed for smooth loading, functional handling, ease of use, and perfect balance.